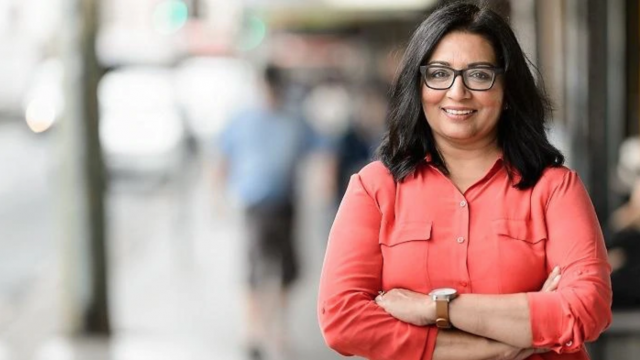 In her maiden speech in federal parliament, Australian Greens Senator Mehreen Faruqi warned against the growing “culture of online harassment”, which she explained specifically targets “people of colour and women”. Senator Fraser Anning gave his infamous maiden speech in parliament just days prior to Dr Faruqi’s. During his speech, the Katter’s Australian Party member went as far as to call for a ban on Muslim immigration and a return to the White Australia policy. In referencing Anning’s speech in hers, Senator Faruqi warned against the “legitimatisation, normalisation and encouragement” of racism in politics. She described this trend as having morphed from the “old habit of racist dog-whistling” to “fanning the flames of racial conflict”. Firstly, Dr Faruqi, in your maiden speech in the Senate you addressed the growing culture of online harassment. What sort of impact would you say this culture is having on those who are targeted by it? It seems that one of the main objectives of online hate speech is to silence people, especially women. We receive a highly toxic mix of sexist and racist communication. I experience this day in and day out. No doubt, receiving such vile messages does take a toll on me, my family and my staff. One of the reasons I started talking about it openly was to let other people out there experiencing similar abuse know that they aren’t alone and that they shouldn’t have to just put up with online hate. It is important to expose such harassment and intimidation as many in our community who are unaware of its existence will extend a hand of support once they know. It concerns me that there still seems to be a reluctance for people in authority to treat online threats and harassment in the virtual world as seriously as the same thing happening in the real world. These so-called trolls are not mythical creatures, but real people sending vile messages and there are real people being hurt and harmed at the receiving end. Recently a man wrote on your Facebook page: “Someone might do us a favour one day and put a bullet in your head.” And in response to a complaint you made about the comment, Facebook stated the message didn’t go against its “specific community standards”. Facebook’s bullying policy doesn’t cover public figures, as it doesn’t want to stand in the way of public discourse. What do you think about a company in the position of Facebook responding to a complaint about a message of this nature in such a dismissive manner? I think Facebook and other big social media companies absolutely have an obligation to tackle online hate and abuse. I recently reported another comment of a man threatening to come and bash me and Facebook had a similar response, that it didn’t breach community standards. This isn’t public discourse or debate, it is threats and intimidation. Do you see a similarity between Facebook’s reasoning behind its bullying policy not applying to public figures and some of the political discourse that is being bandied about by politicians that’s perhaps just thinly veiled racism? As I warned in my first speech to the Senate, the culture of bullying, racism, sexism and even violent online threats needs to be taken more seriously. We have a situation where politicians instead of showing leadership for all Australians are amplifying and even encouraging hate speech. It may be a convenient political strategy, but it has real world consequences for people. The vilification of South Sudanese Australians by the Liberal Party for political advantage is a recent particularly toxic example. Your speech in the Senate closely followed Fraser Anning’s, in which he called for a ban on Muslim immigration. Over recent years, there’s been a rise in Islamophobia in this country. How much of this increasing anti-Muslim sentiment can be lain at the feet of politicians of Anning’s ilk? Senator Anning’s speech is the most obvious form of spouting hate, bigotry and division, but let’s not pretend that it has come out of nowhere. It wasn’t too long ago that we had a prime minister who proposed that women wearing burqas should sit in a glass box if they visited parliament. Our current prime minister Scott Morrison has been reported as suggesting in 2011 that the Liberals should capitalise on anti-Muslim sentiment. And both the Labor and Liberal parties continue to preside over the cruel offshore detention system and dehumanise asylum seekers in public debate. During your maiden speech, you also pointed out that the solidarity some politicians showed in condemning Anning’s speech was somewhat hypocritical while they allow structural racism to continue. Can you elaborate on some of the institutions in Australia where racism is still prevalent? Politicians can’t give themselves a slap on the back about combating the most obvious forms of racism when there are still so many more and more complex issues of racism in Australia. Resume racism, Aboriginal deaths in custody, young African-Australian people being targeted by police all point to systemic issues of racism. We need to honestly look at all our structures – from health to education to justice – and ask ourselves, does everyone really have equal access and do we provide it free from discrimination? And lastly, Dr Faruqi, you’re Australia’s first female Muslim Senator, which you’ve stated “is an affront for some”. What sort of impact do you plan on having in the Senate? And what are some of the issues you’re going to make certain are addressed during your time in the federal parliament? I really hope my presence in the Senate gives some hope to people of colour – and particularly women of colour – that things can change and politics is something that they can be involved in. Our parliament doesn’t look remotely like the suburbs and towns of our country, and governments are not taking action on issues that people care about. I want to help build a future for all of us. I want to tackle political corruption, close the gap on economic inequality, promote protection and compassion for animals, put in place effective climate policy and ensure that everyone has the right to a decent and good life. We are a wealthy country and we can do this. With collective action, we can make sure that we turn things around.